Dimensions 0.50 by 5.75 by 8.25 in. 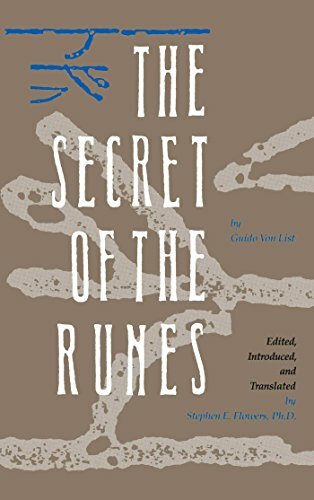 Amazon.com description: Product Description: The runes are said to have ârevealed themselvesâ to von List, uncovering a complete cosmology and esoteric understanding of the primeval Teutonic/Aryan peoples, and becoming the cornerstone of his ideology. No other work so clearly and simply sets forth the full spectrum of von Listâs fantastic vision of a mystical philosophy based on Germanic principles.